The Tingler prop is a life-size 1:1 scale replica [approximately 22 inches long] which comes specially painted and fully assembled. 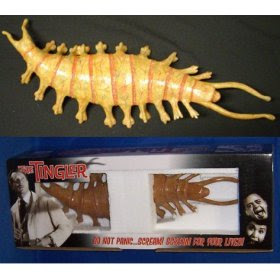 This is a quality collectible and a must have for "Tingler" fans. Interested collector's should act fast as the production run of this item was a limited edition of only 200. It is becoming a rarity and almost impossible to find.